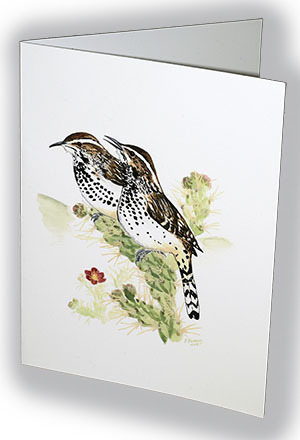 The Cactus Wren (Campylorhynchus brunneicapillus) is found over much of the southwestern United States and Mexico. This pair of birds are perched on coastal cholla (Cylindropuntia prolifera) easily recognized by its burgundy-colored flowers. 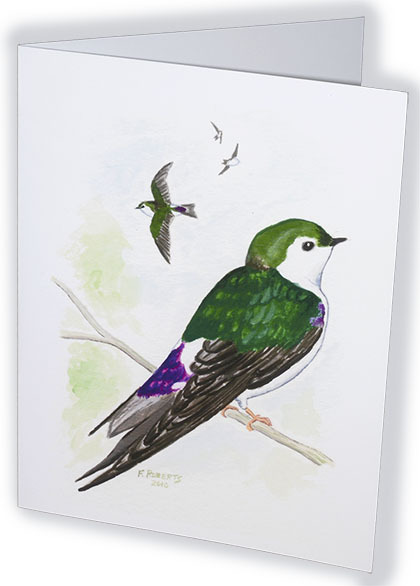 The birds along the southern California coast are relatively rare and have declined significantly in numbers but are also the focus of several studies and restoration programs. The original painting is a F.M. Roberts 11 x 14 inch Gouache dating from August 2009. I still have the original but a reproduction of the painting was commissioned as a gift for a departing resource agency employee. 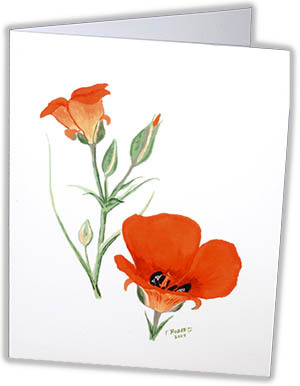 The art work is available as a 5 x 7 inch print, 11 x 14 inch print, or a 4.25 x 5.5 inch note card. 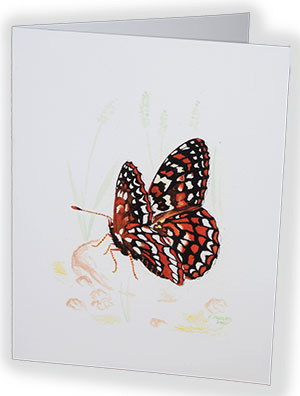 All prints are on archival fine arts paper and are shipped with a foam board backing. 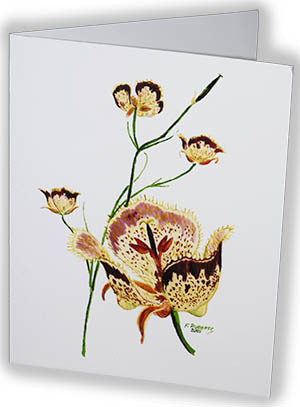 Print Size Choose an option4.25 x 5.5"5 x 7"11 x 14"
4.25 x 5.5", 5 x 7", 11 x 14"